I should have mentioned the “3 feet or 3 miles” rule for moving hives, but I forgot. Check out my How to Move a Hive for more on that. The general rule for moving a hive is move it either “3 feet or 3 miles” but nothing in between. Otherwise the bees can’t re-orient to the new location. Sometimes that rule is true. Sometimes it isn’t. I know beekeepers who move their hives 50 feet without any concern. They just pick up the hives and move them. It’s argued that if some of the bees go back to their old location, they’ll eventually find their way back home or will find shelter in the nearest hive, easily mixing in with a new colony. I’m not 100% behind that argument. It’s also argued, “Forget about the distance. As long as an obstruction is put in front of the hive entrance, the bees will automatically re-orient to the hive.” That’s true in my experience, but again, none of these rules seem absolute. 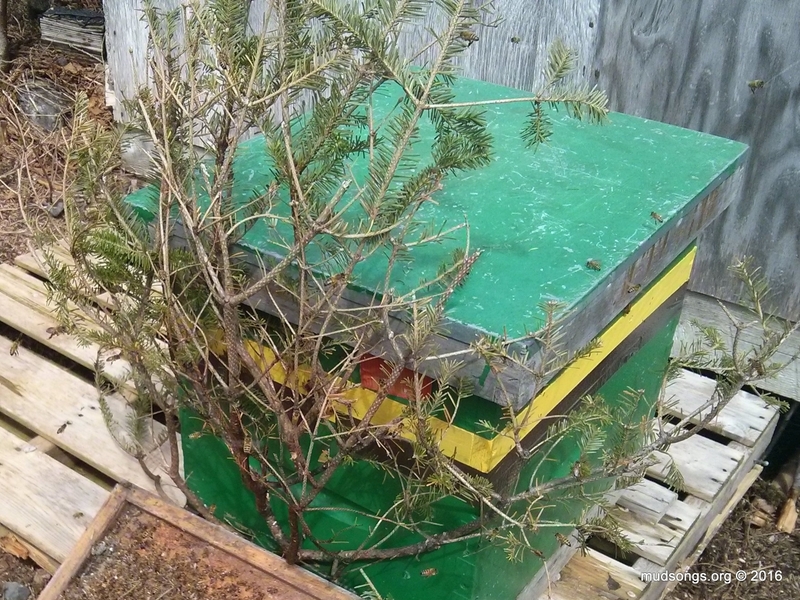 Generally, though, when I move a hive, I wait for a cold day when the bees aren’t flying around much, preferable just before some bad weather that will keep the bees stuck in the hive for a few days, and I always (unless I forgot) place an obstruction in front of the entrances so the bees will re-orient to the new location. I emphasize “generally” because every time I move a hive, my method and the conditions under which I move the hive are slightly different. This entry was posted in Hive Relocation, Month of April, Year 2016 and tagged Practical Tips, Video. Bookmark the permalink. ← Why Do Honey Bees Eat Chicken Feed? Question: what about hiving a swarm caught in a swarm trap. Does the new hive need to be 3 miles away from where the swarm was captured? Excellent question. I think probably not. I’ve caught swarms and then set them up in hives well over 100 feet away and it worked every time. My guess (and it’s only a guess) is that a swarm hanging off a tree branch hasn’t homed in on a specific location yet because it hasn’t begun building comb yet (i.e., making itself at home). If the bees are building comb in the swarm trap, is that enough for them to home in that specific location? If so, does matter as long as an obstruction is put in front of the new hive entrance?